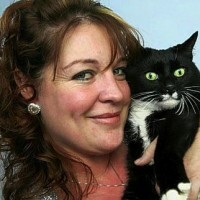 Julia Romp lives in Isleworth with her son George and their cat Ben. When she is not looking after her family and the stray cats in the area, Julia works for the charity Lost and Found helping to re-home cats. After her success of her campaign to find Ben, Julia has become known as the local pet detective.